New Patriotic Party (NPP) leader Nana Akufo-Addo, who came second in the closely fought contest that observers said appeared fair, said his party had evidence to show there were enough irregularities to affect the outcome. “A few minutes ago a petition was filed at the registry of the Supreme Court, challenging the validity of the result of the presidential election,” Akufo-Addo told a news conference in Accra. “This case is not about candidate Mahama or candidate Akufo-Addo. There is a much more important issue at stake which goes to the heart of our democracy and the future of our nation,” he said. The Electoral Commission declared Mahama winner with 50.7 percent of valid ballots to Akufo-Addo’s 47.7 percent.After the poll, Mahama urged Akufo-Addo and other opposition figures to join him “as partners” in improving Ghana, but said his rivals had a right to take their grievances to court. 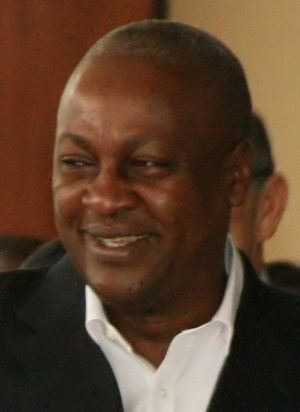 Mahama, who initially took over from former President John Atta Mills after his death in July, is expected to be sworn in on January 7 to begin a full four-year mandate. The gold, cocoa and oil exporting country has managed more than 30 years of democratic transfers of power, making it an anomaly in West Africa’s so called “coup belt” of countries plagued by instability.